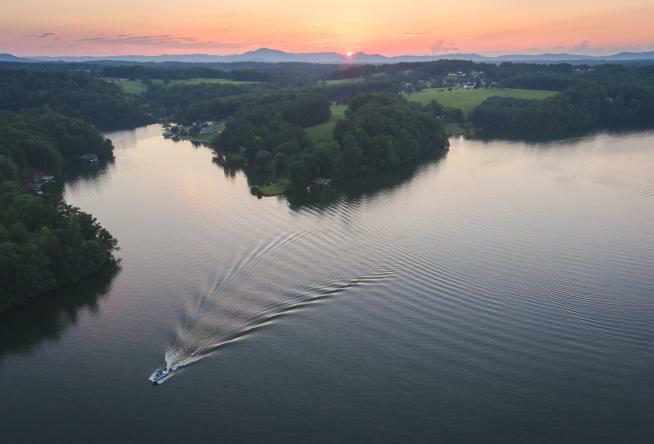 Smith Mountain Lake is often referred to as the "Jewel of the Blue Ridge" with its stunning natural beauty and abundance of opportunities for relaxation and recreation. The reputation of the lake will continue to grow as the result of a new feature in Men&apos;s Journal. The town of Moneta at Smith Mountain Lake in Virginia&apos;s Blue Ridge is highlighted in a new piece on the Men&apos;s Journal website - 10 Amazing Lake Town Getaways for Every Adventurer. The showcase of the lake is the result of the Visit Virginia&apos;s Blue Ridge Public Relations initiative in promoting the region to journalists and writers looking for content or story ideas. "Old Dominion’s largest lake, Smith Mountain Lake spans 500 miles of shoreline and three counties. Kick off vacation at Bridgewater Plaza, a bustling marina with putt-putt, art galleries, and plenty of restaurants. When you’ve wrapped up a guided fishing tour or are all SUPed out for the day, enjoy dinner aboard the Virginia Dare, a 19th century-style sidewheeler cruise." Click here to see the complete article on the Men&apos;s Journal website. It&apos;s the second time in the past year Visit Virginia&apos;s Blue Ridge has secured coverage of the region in a Men&apos;s Journal article. 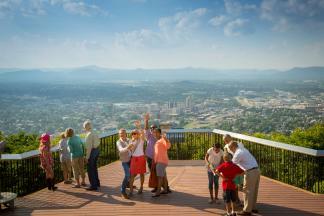 Last may, Roanoke was highlighted as one of The 20 Best Mountain Towns in America.